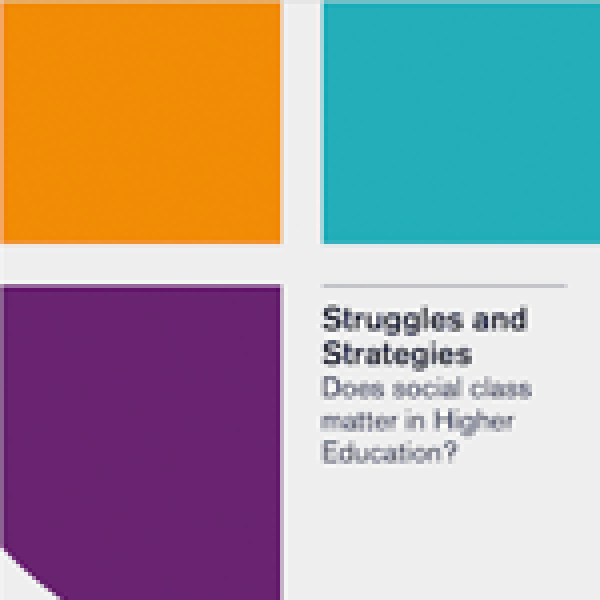 Join Steven Threadgold, Penny Jane Burke and Matthew Bunn in conversation, as they introduce their new research report 'Struggles and Strategies: does social class matter in higher education?'. Professor Darrell Evans, Deputy Vice-Chancellor Academic, Professor Catharine Coleborne, Head of School Humanities and Social Sciences, and Dr Ann Taylor, Convenor of the Bachelor of Social Science, will launch the report by reflecting on this new research. This report marks the start of a research agenda into how structures of class, and its intersections with other inequalities, are maintained throughout a students’ university education and transition in to graduate futures and careers. Drawing on in-depth inquiry, the research investigates whether a student’s background—such as belonging to one or more equity group as identified by Australian policy—impacts their graduate transitions; how they imagine, perceive and navigate university to work transitional processes; and how social inequalities shape and constrain their access to and transition from university to segmented labour markets. A light lunch will be provided from 1pm on Wednesday 31 October, ahead of the launch and discussion at 1:30pm.